Grover Beach officials are trying to create a new image for the South County city that will attract businesses, development, tourism and new residents. Marijuana, as well the long-planned Grover Beach Lodge and Conference Center, factor prominently in the marketing strategy the city is considering. During a Grover Beach City Council meeting Monday night, a consultant presented a draft economic development strategy. Grover Beach last updated its economic development strategy in 2008. The draft strategy, which was presented by Matt Kowta of BAE Urban Economics, calls for exploring bringing marijuana businesses into Grover Beach and building the lodge and conference center to attract more visitors and capitalize on the city’s beach access. The lodge and conference center project has been discussed for decades, and it is still in the planning phase. Last month, the Grover Beach Council voted unanimously to establish a marijuana business district in a 70-acre industrial zone located between Farroll Road, Highland Way, South 4th Street and South 13th Street. Initial plans only allow medical marijuana dispensaries to open in the area, but the district could include recreational pot shops when the state of California begins licensing them in 2018. 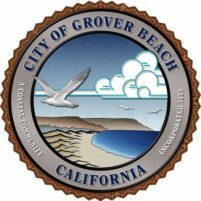 Grover Beach’s draft economic development strategy also calls for addressing the city’s highly visible homeless population, creating more family activities, expanding the city’s broadband network to increase internet speeds and launching marketing campaigns to build the image and awareness of the city. The draft strategy also suggests the city find ways to direct more people to Grover Beach from Highway 101. According to Monday’s presentation, one of the obstacles to economic development in Grover Beach is the local rental market. The market rate for rental units is higher in Pismo Beach than in Grover Beach, which incentivizes development in the former South County city and not the latter. Developers have about a 15.3 percent higher return on investment when building mixed-use projects in Pismo Beach, rather than in Grover Beach. Residential developments in Pismo Beach earn about 20.7 percent more return on investment than residential projects in Grover Beach. The Grover Beach Council will deliberate and vote on the economic development plan at its next meeting. OK, slow speech for you AH. Are the Pot Holes at the Southern end of your Grover city going to be the greatest legacy of your muddled mind? The real sad reason behind this stupid idea is, most of the voter’s of Hill’s district won’t and don’t live in the city. They live in SLO and Cal Poly. This guy is Scum. So when you cant achieve economic vitality thru a name change, stopping you at every intersection with red light, quality shopping or tourist attractions you turn to drugs sales. Brilliant, just brilliant!!!! How about a few whore houses to go along with the drugs. I think they need to drop the “Grover” from Grover beach. Isn’t that a Sesame Street character. They can do as many studies and open as many pot dispensaries as they want. The problem is that people who have options of where to live, work and vacation tend to avoid shitholes. Welcome to the Hotel Grover Beach…. You can find it here…. This is a formula for revenue positive for the bureaucracy (higher pay and increased benefits) and revenue negative who will have to pay for it and will receive nothing in return except that the government will cry that they never have enough and want more. yup, become known as the place on the central coast for pot. that’ll really burnish the image of the city. Well its an awful METH town now, so some herb might do some good. They changed their name to Grover Beach (even though the don’t actually have a beach) they installed traffic islands and planted palm trees at the entrance to the city on Grand Avenue. Unfortunately they didn’t do anything to fix the roads, attract new hotels or tourist related businesses. You will make money hand over fist! You also won’t have to fix any of the potholes in the streets because everybody will be so stoned they won’t even notice the bumpy ride. They should call this latest attempt “Makeover Vista” because with Shoals in charge it will succeed just as well. The Smoke and Poke Lodge…. ?